Just about everyone agrees that Boxtrolls looks amazing, but it's easy to forget that the company that brought us ParaNorman was built on the smothered dreams of claymation visionary Will Vinton. 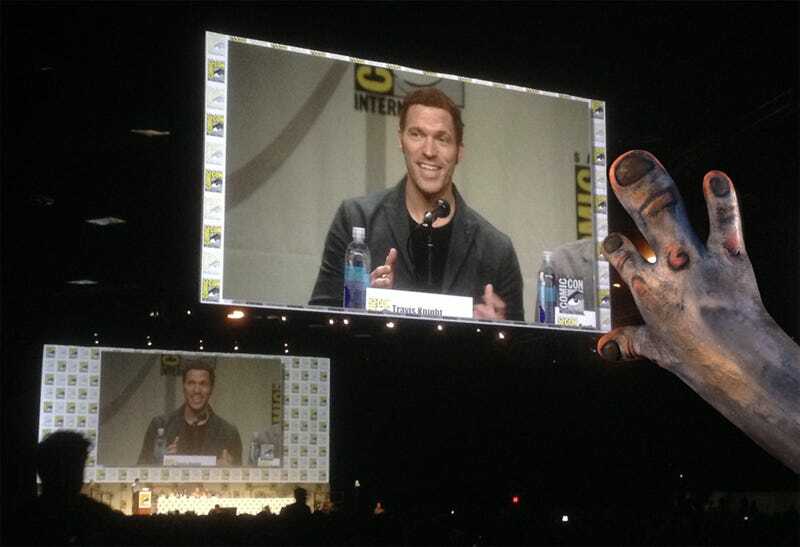 At the 2014 San Diego Comic Con, thousands of foolhardy souls waited outside all night in hopes of getting into the coveted Hall H. Many were waiting for news from Warner Brothers or Marvel Studios, but the joke of the night was Boxtrolls. Sure, it looked cool, but the untested property didn't have the fan-power established franchises did. Sarcastically, line-waiters chanted "BOX-TROLLS BOX-TROLLS" as the chutes began to open and the audience was allowed in. The thing is, the unusual stop-motion footage was fantastic. It's rightly getting positive buzz, but there's a rocky history to the company behind the movie and the company's big boss Travis Knight. When asked about the company's past by a fan, Knight said "we" used to make stop-motion videos in "our parents garages." That was partially true, as many of those on stage with him have been working at stop-motion all their lives, but if Knight worked in his father's garage, he was likely surrounded by several very expensive cars. Knight's father, Nike owner Phil Knight, stepped up to financially back the floundering company of stop-motion pioneer Will Vinton in the 1990s. Vinton was the kind of kid who worked on stop-motion films in his parent's garage, and as an adult he made the amazing California Raisins commercials, The Adventures of Mark Twain, and one of my favorite Christmas specials. Unfortunately, as talented as Vinton was behind the camera, he lacked business sense. Knight the elder pumped increasing amounts of money into the company, but as he became a bigger shareholder, he made additional requests. At a time when Knight the younger was trying to make it as rapper Chilly Tee, his father asked Vinton to take the younger man in as an employee. Later, he asked that Travis Knight be given a position on the board of directors. Then the younger Knight became CEO. Then Vinton was kicked out. The company changed names from Will Vinton Studios to Laika. More details on this cautionary tale of what can go wrong when an artist's vision gets embroiled with big business can be read at Priceonomics.